PebbleCreek is an upscale retirement community that boasts two championship courses, Eagle's Nest and Tuscany Hills. 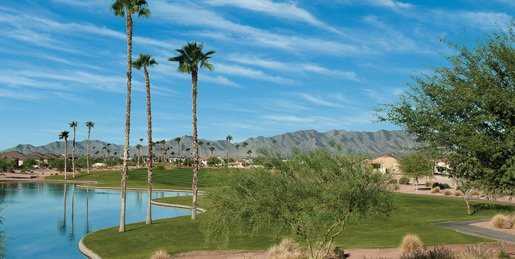 The verdant green of the two courses provide a striking contrast to the clear blue canopy of the Sonoran Desert sky. Eagle's Nest is the more player friendly of the two golf courses but there are still several challenges that await you. PebbleCreek is an upscale retirement community that boasts two championship courses, Eagle's Nest and Tuscany Hills. 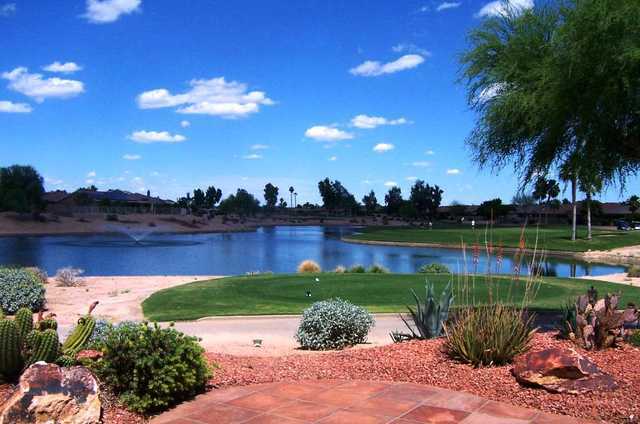 The verdant green of the two courses provide a striking contrast to the clear blue canopy of the Sonoran Desert sky. Eagle's Nest is the more player friendly of the two golf courses but there are still several challenges that await you. A total of seven lakes come into play throughout and there are several strategically placed bunkers along the greens and fairways to contend with. The terrain is mostly flat but there are some subtle but tricky elevation changes that can cause challenging lies. 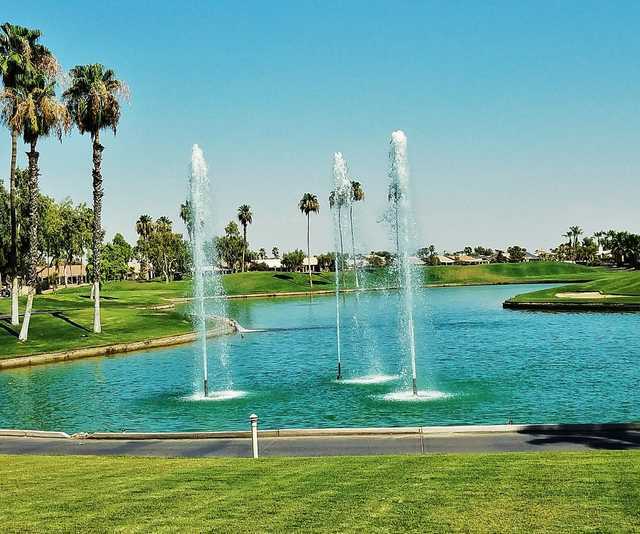 The golf course is a fair test that is gentle enough for beginners from the forward tees and golfers of any skill level can appreciate the panoramic views of the White Tank and Estrella Mountains.